Far from diminishing in its significance as the years pass it’s something of a morbid irony that Remembrance Sunday has become more meaningful in the cradle of 21st century but, this year particularly, with the centenary of the start of the conflict that was hoped ‘would end all wars’, its relevance has reached a significant milestone. Sunday 9th November 2014, Remembrance Sunday, is marked with a landmark event as part of the First World War centenary commemorations. 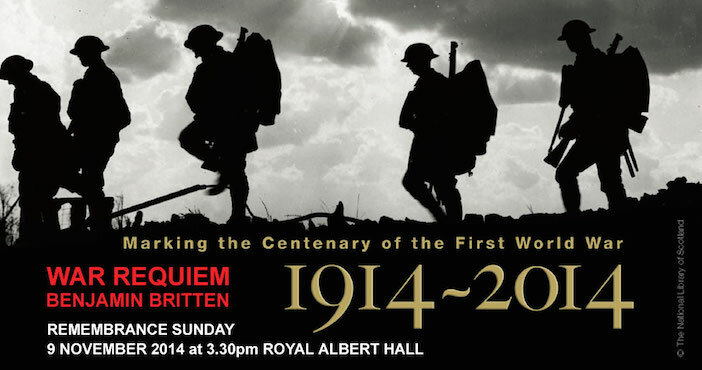 The Royal Albert Hall is the venue for a special performance of Benjamin Britten’s War Requiem, itself dedicated to the memory of those who died in the conflict. London’s oldest chorus, The Royal Choral Society, and the London Philharmonic Orchestra are led by a cast of top-flight soloists, including star bass-baritone Bryn Terfel, for a concert that will undoubtedly be as poignant as it is powerful. Whilst remembering those who sacrificed their lives one hundred years ago, its relevance today, too, is brought to light with funds raised from the concert going to Veterans Aid, a charity providing immediate support for today’s ex-servicemen and women. The concert, organised in collaboration with The Lady R Foundation, matches music, occasion and charitable cause, making it a unique event in this centenary year. 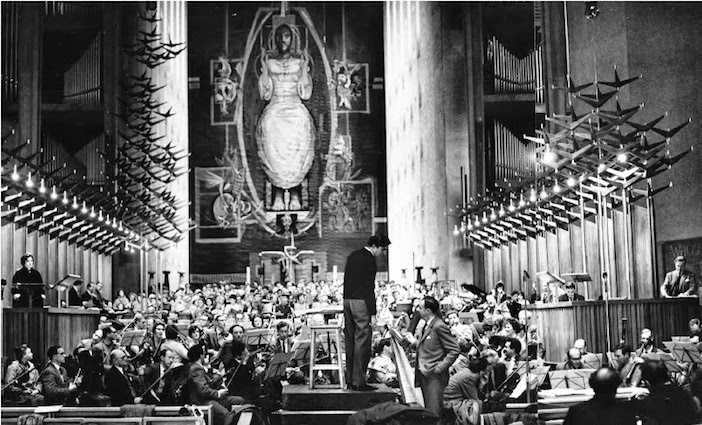 Britten’s War Requiem, one of the most masterful artistic responses to the tragedy of war, profoundly weaves together the Latin Mass for the Dead with the poetry of Wilfred Owen, the young English war poet killed in action in the final days of the First World War. It is a work steeped with themes of the pity of war, sacrifice and remembrance, yet also an expression of hope and reconciliation. Britten, a pacifist, intended that the vocal soloists for the premiere of the work should represent the former warring countries – Russia, Germany and Great Britain. Fittingly, the performance on Remembrance Sunday, conducted by Richard Cooke, once again brings together these three nations, represented by international soloists: British bass-baritone Bryn Terfel, German tenor Stephan Rügamer and Russian soprano (and 2009 BBC Cardiff Singer of the World) Ekaterina Scherbachenko. It’s a poignant event for the choir, too. 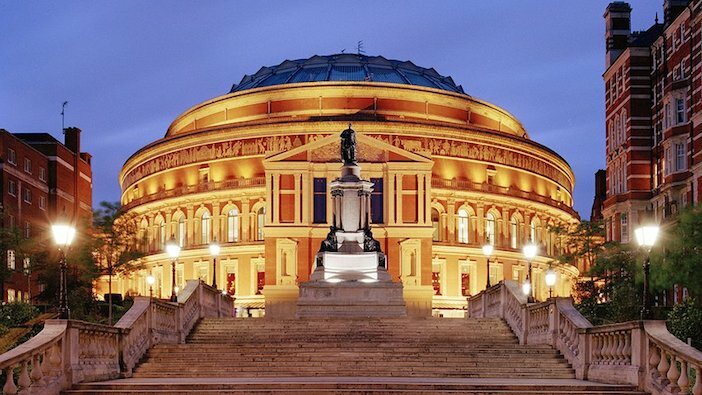 One of the UK’s premier choirs, The Royal Choral Society has a long history with the Royal Albert Hall. Formed in 1871 for the Hall’s opening, the choir has performed continually at its ‘spiritual home’, even throughout the First World War, when the choir was a pivotal force in preserving music-making in London, introducing a Sunday afternoon concert series at the Royal Albert Hall in 1915. Tickets start at £16.79 (including all booking fees) and are available from the Royal Albert Hall Box office website or by phone on 0845 401 5045. Hosted by veteran broadcaster Angela Rippon, the event is presented in association with The Lady R Foundation, a UK charity founded by The Dowager Viscountess Rothermere, to bring comfort and relief to the forgotten, the overlooked and the stigmatised in today’s society.